Israel fell into a trap with its decision to raid the flotilla bound for Gaza, says Meir Javedanfar. And Iran will reap the benefits. On June 4, Iranian Supreme Leader Seyyed Ali Khamenei will lead the Friday prayer’s sermon at Ayatollah Khomeini’s mausoleum to mark the 21st anniversary of Khomeini’s passing. And, as he looks around him, under his breath, he’ll most probably be thanking the government of Israeli Prime Minister Benjamin Netanyahu for the Gaza flotilla fiasco. 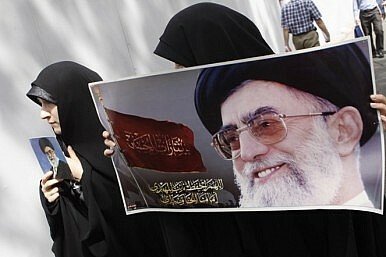 With Khamenei’s own popularity at an all-time low, it couldn’t have come at a better time for him. The recent developments are likely to boost Iran’s status in the Middle East, especially when it comes to its emerging alliance with Turkey. They will also be a much welcomed distraction from the troubles at home. Meanwhile, the reports from the ships and the deaths of passengers on the Mavi Marmara will also reinforce the anti-Israeli teachings of Khamenei’s predecessor and mentor, Ruhollah Khomeini, especially amongst hard-line Muslims. It’s true that Israeli soldiers were set upon by metal bars and sticks as soon as they landed on the ships. Such tools could cause grievous bodily harm or even kill. However, the international community and the Islamic world will have little time for such reasoning. As far as they are concerned, the numbers speak for themselves—ten people were killed by the special forces of a sovereign country on a ship that was reportedly carrying humanitarian aid. What’s likely to make Tehran particularly happy is the fact that Israel walked into a trap, with its eyes wide open. The Gaza flotilla was the manifestation of the superiority of soft power, against hard power. Hamas lost the 2009 war in Gaza, but with the exposure given to the siege and the approaching flotilla even before it had moved against Israel, it had managed to win the battle for the hearts and minds of millions of non-Arab people around the world. This is something that Tehran could never do on its own. There was no way that Israel could have come away from this encounter as the winner—even if the altercations had not occurred (in reality, no country could). To impose a partial siege against one and a half million people is controversial enough. To publicly intercept and pull away a civilian boat that is reportedly carrying aid and hundreds of civilians is difficult for anyone to justify, not just Israel. What also seems to be helping Israel’s enemies is that when it comes to the Palestinian issue, its operating on an outmoded strategy. ‘He pulls a knife, you pull a gun. He sends one of yours to the hospital, you send one of his to the morgue and that’s the Chicago way,’ said Jimmy Malone to Elliot Ness in the movie The Untouchables. Despite the recent success of the Iron Dome defense system against Hamas, Iranian missiles would prove a much tougher challenge.